Electric vehicles camped in parking spaces will be an ideal vehicle-to-grid energy source for buildings equipped with energy management systems. 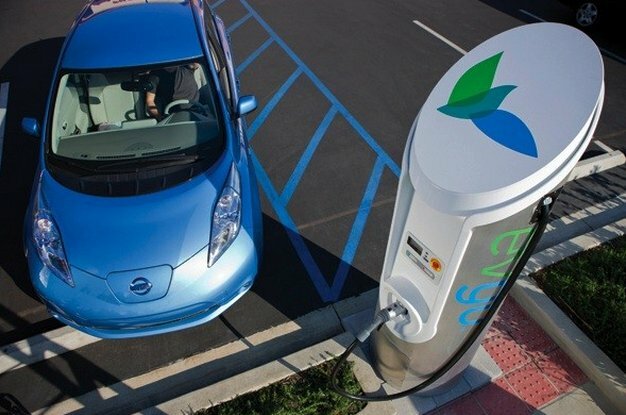 A new report from Navigant Research forecasts that nearly 200,000 plug-in electric vehicles equipped with vehicle-to-building (V2B) technology will be sold from 2012 through 2020. The idea behind V2B (also known as vehicle-to-grid, or V2G) is that vehicle batteries can serve as places to store energy when needed by the utility. By combining load leveling, peak shaving and time-of-use pricing, vehicle and building owners can work together to potentially offset the higher costs of EVs. These costs would also be reduced because stored EV power could lower building energy costs while providing reliable emergency backup power. V2B is being tested in several pilot projects around the world and is just one element of larger test projects for microgrid and smart grid technologies. Other functions being researched in these test programs include renewable energy generation, smart buildings, smart EV charging and stationary backup storage. 200,000 vehicle-to-grid plug-ins to be sold by 2020 originally appeared on Autoblog Green on Wed, 10 Apr 2013 19:43:00 EST. Please see our terms for use of feeds.